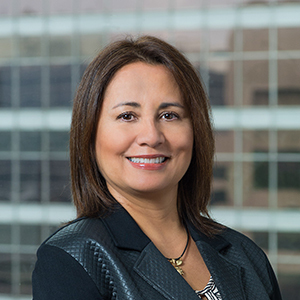 Jacqueline Gutierrez joined the firm in 2008 as a legal consultant on Latin America matters. She is a Venezuelan lawyer with more than 20 years’ experience in Corporate, Civil, Commercial, Labour, and Maritime law. She carried out postgraduate studies in Venezuela, namely Specialisation Degrees in Labour Law, as well as Commercial Law and in Maritime Law. Jacqueline provides counsel exclusively for matters related to Latin America, in connection with Maritime, Civil and Commercial Law. Her expertise in Latin America includes drafting of legal opinions, contracts, powers of attorney, wills, and the preparation of agreements of sale/purchase of immovables, exercise of due diligence of companies, and the completion of transactions and procedures with various governmental offices in Venezuela.